Ever since its launch in 2012, Mazda’s CX-5 has held the Australian medium SUV market captive. Stylish looks, competitive pricing and all round practicality have seen Mazda CX-5 crowned as the most popular medium SUV in Australia, beating out stiff competition from Toyota, Honda and Nissan. Updated in January 2015, and additional safety specs added in 2016, 2017 see’s the most significant update since its inception. The 2016 model is well loved and still an excellent buy, with run out pricing available on the last remaining first gen models. 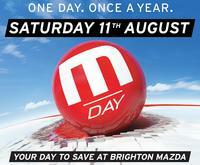 However, here at Brighton Mazda we are particularly keen on the release of the new model. Here we take a look at the Next-Gen Mazda CX-5 vs its 2016 counterpart, comparing significant changes and features of the new model. Mazda CX-5 has always ran far ahead of its competition when it comes to performance. In 2017 Mazda has refined the Next-Gen Mazda CX-5 powertrain to deliver better handling and better performance than ever. SKYACTIV technology delivers impressive power and fuel efficiency no matter what option is chosen, from the petrol driven SKYACTIV 2.0 and 2.5 engines, or the 2.2L diesel option. 2017 sees handling improved in CX-5 with the addition of G-Vectoring Control. The result is the most assured handling and balance seen in the medium SUV market. According to Motoring.com.au “The CX-5 never feels unwieldy or awkward, with a lovely, fluid way of taking corners”. 2017 has seen Mazda take safety to a new level with the Next-Gen CX-5. Additional safety features across the full range include: autonomous emergency braking, rear cross traffic alerts, blind spot monitoring and electric anti-glare rear vision mirror. All these features leave the driver well placed to prevent an accident on the road. Combined with Mazda’s high-strength SKYACTIV BODY you and your passengers will be well protected in the Next Gen CX-5. Mazda set’s the benchmark for design even higher with the Next-Gen CX-5 2017. 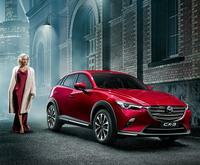 Mazda has redesigned CX-5 with a new interpretation of the “KODO – Soul of Motion Design” design theme. Sleek lines and bold curves embody the exceptional standard of exterior design that has come to be expected of Mazda vehicles. The 2017 model is lower to the ground than the 2016 model, combined with narrow headlamps, new front grill and Mazda’s signature wing to the front end. With the 2017 Mazda CX-5 you get a stylish vehicle that will be sure to turn heads. Next Gen CX-5 is available in the all new colour Soul Red Crystal or much-loved colours Jet Black, Blue Reflex, Deep Crystal Blue, Titanium Flash, Meteor Grey, Sonic Silver and Crystal White Pearl. Interiors are spacious and practical offering plenty of leg room in both rear and back. Bose stereo system, MZD Connect infotainment as well Active Driving Display that projects key information on the windshield take connectivity to a new level. The new Mazda CX-5 2017 infotainment system screen and controls are presented prominently, yet simplistically. Mazda CX-5 2017 comes in a variety of models, stretching through Maxx, Maxx Sport, GT and Akera. All wheel drive and front wheel drive options are available, engines options include 2.0 and 2.5 litre petrol as well as 2.2 litre diesel. Base level Maxx starts at a competitive $32,388 Drive Away while the top of the line Akera in diesel retails for $54,369. Of course, special offers change each month so for more accurate pricing please visit Brighton Mazda in-store and speak with a sales consultant about our current CX-5 deals. 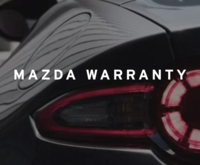 Next-Gen Mazda CX-5 is now available with immediate delivery at Brighton Mazda. Book your test drive at Brighton Mazda today.